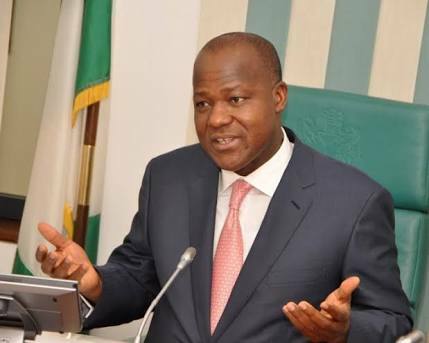 Agitations from various parts of the country are indications that the Federation of Nigeria is not functioning as it ought to, Speaker of the House of Representatives, Hon Yakubu Dogara, has said. This, he added, is why the House of Representatives has begun processes to interface with Nigerians across the country through its Special Adhoc Committee on Agitations with a view to addressing areas of challenges. The Speaker made the remarks when he received members of the All Progressives Congress (APC) Committee on True Federalism, led by the governor of Kaduna State, Mallam Nasir El-Rufai, in his office. Dogara said, “When you talk about federalism, you are talking about the distribution of powers in a given society. Here in Nigeria, government powers are distributed vertically and horizontally; vertically from federal to local governments, horizontally, across the three departments of government and that is the executive, the legislature, in no particular order, and the judiciary. “Whether this has worked, we can only know from the feelings of the citizens of this country and, I guess, agitations coming from various quarters show that something is wrong with our federation and something must be done. Expressing confidence in the committee under the chairmanship of Governor El-Rufai, Hon Dogara, gave the commitment of the House of Representatives to participate in the exercise through nomination of its members to join the committee, saying the National Assembly remains the proper forum for addressing restructuring issues as provided in the Constitution of Nigeria and not the presidency as adduced by some people. “The Special Adhoc Committee on Agitations across the country will interface with Nigerians and advise the House as to the best measures we can adopt to deal with these issues. I am happy we are working together on the same agenda. We will put recommendations from both committees together and take an informed decision as to what is good for this country and what will meet the best wishes and aspirations of our people. He reaffirmed the right to free speech of all citizens of the country, saying they remain protected under a democracy like that of Nigeria, while on the other hand, proponents of hate speeches will be dealt with as no democracy condones it because of the danger of violence and other vices it portends. “Here in the House of Representatives, on account of our responsibility as true representatives of the people, we had the discussion; some very healthy, some very unhealthy, leading to hate speech. And I said in the course of my welcome address when we reconvened from recess some weeks ago, that hate speech drowns the truth and everything has its value in the presence of the truth. Once the truth is missing, there is nothing to build on. And that’s one of the dangers of hate speech. “In a given democracy, most healthy democracies are actually very noisy. You hear the noise of civil society organisations, community-based organisations, the noise of labour, the noise of lobbyists, but all this noise in a democracy elicit debate and that is what is called free speech. That is what democracy protects. But any speech that elicits violence or is capable of inciting people to violence is hate speech and no democracy tolerates that.